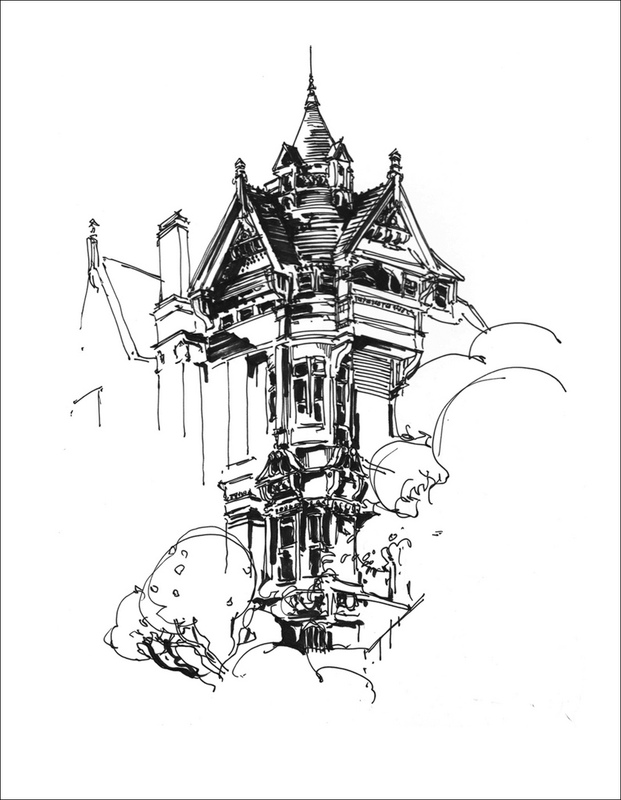 The Hass Lilienthal house is reputed to be one of the finest Victorians in San Francisco. There are so many great buildings all around this area of Pacific Heights (just east of Lafayette Park). I’m not sure how one decides. 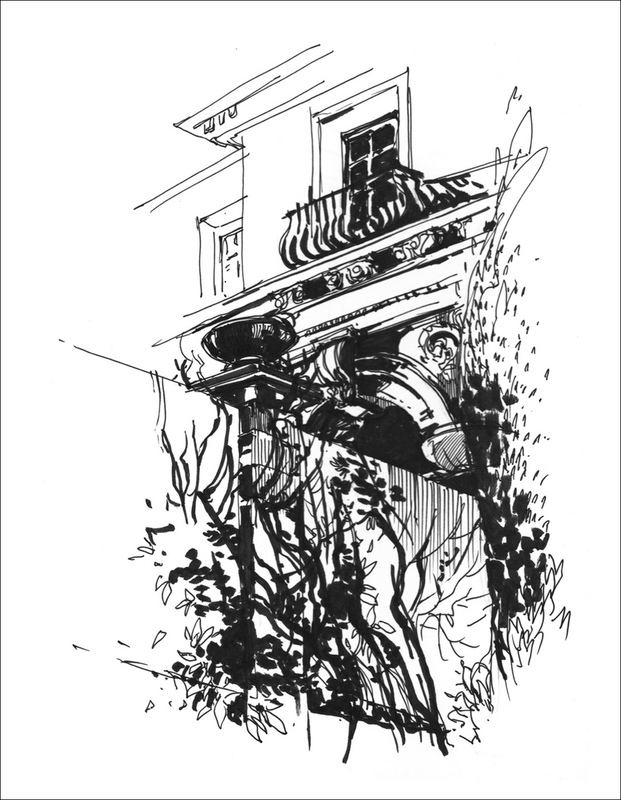 I hear there’s a tour of the interior – perhaps that’s a sketching trip worth attempting! I think I’ll come back with a full painting setup and try to do it more justice. Moving uphill, this steep angle looking up at an ivy covered courtyard caught my eye. A tourist asked me ‘You think one guy owns this huge house?’ – moments later some kids in an expensive SUV tell me it belongs to the guy who owns the Giants. He must have a good view of Alcatraz from his bedroom window. i love this style you use, it says just enough. Excellent. Your work is absolutely gorgeous! I particularly like those last ones in black and white, contrast is beautiful.